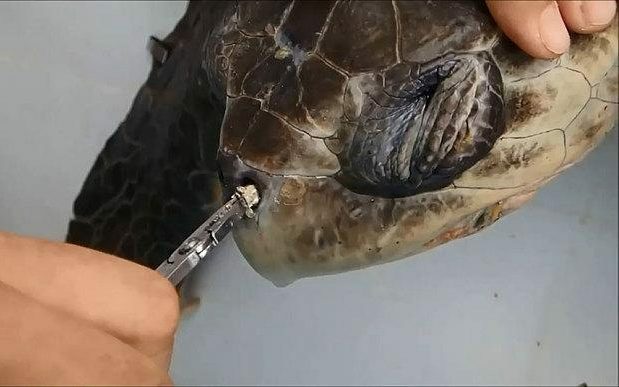 via The Telegraph A group of marine biologists in Costa Rica were horrified to discover anendangered sea turtle with a 10-12 cm plastic straw lodged in its nostril. 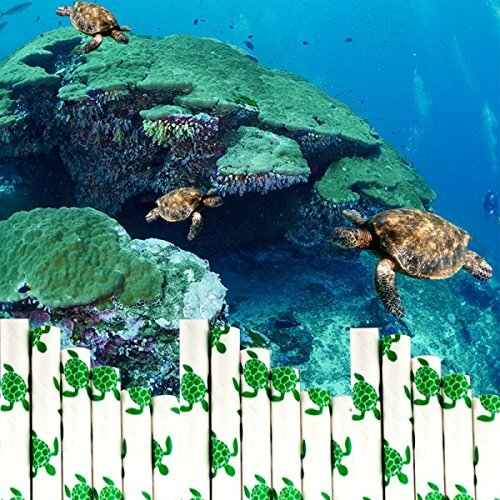 After debating what to do, they decided to remove it with a swiss army knife – the only tool they had available on the boat. “Is it a f—ing straw? Don’t tell me it’s a straw,” Ms Figgener can be heard saying. 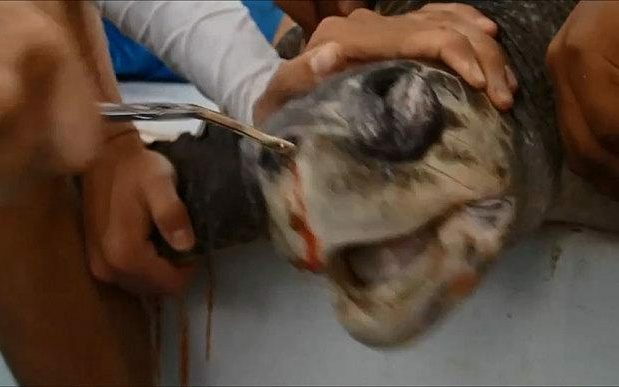 Many have reacted angrily online, saying that the biologists were cruel and in fact caused more pain and discomfort to the sea turtle than if they hadn’t removed it.